So carrying on from yesterday's post about foldable shoe bags, I decided it was probably time all my nice pretty shoes got the same treatment as my boring gym ones, so I made more bags, with a twist. This is how my shoes are 'stored' at the moment. Stored being a nice way for saying thrown around the house in various locations and being yelled at for it. So I've sewed my foldable shoe bags in clear vinyl so that I can see which shoes are where easily and it looks pretty. You can buy those clear boxes for your shoes but they're close to $5 each which is a bit steep considering that that money could be going towards more worthwhile things such as...shoes. I'm a chick what can I say. So the best thing about the foldable shoe bag in clear vinyl/ PVC is that you don't need to hem nothing or do any linings, it's awesome and fast. Keep reading for the updated tutorial. 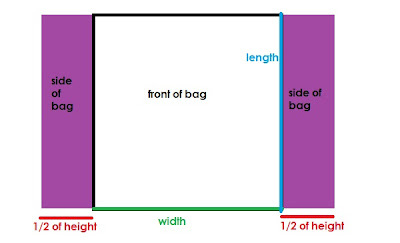 Probably best if you start reading about how to make the foldable shoe bag first, or if you ceebs as in cbf but lazier, have a look at this picture and this one, it will help you figure out what size vinyl you'll need to fit your shoes. So once you've figure out all you fancy math, the principles for making the bag are the same as before. Grab the clear vinyl piece and fold in half. Sew up both sides. Trim the corner of the vinyl as below to reduce bulk for when you need to sew across it later. Pinch the corner of your bag with you fingers. Grab your ruler and mark out 9cm i.e the height of your shoe, this will become the side of the bag. Align the halfway point of your measurement with the seam, in my case 4.5cm. Using pins or even a pen mark out both corners and sew. Turn out your bag and pretend it doesn't look like a weird tortoise/ bird hybrid and keep going, your almost there. Pop your shoes into your new pretty bag for all to see. I said I was reorganising my shoes, so I figured I'd better sew at least two bag to photograph for you now, and I'll photograph the entire project when it's done. But you saw how many shoes I had and I've already run out of vinyl, so time to steal some more from the tabletops and couches of little old ladies who use it to protect their furniture. Jokes! Don't steal kids, I'll just go buy some and probably come out with more stuff then I intended from the craft store. Hi there would up consider making a few of these to sell? f shoe storage is a problem, these simple solutions will keep your footwear hidden yet handy, so you never have to scramble to find your favourite pair again.